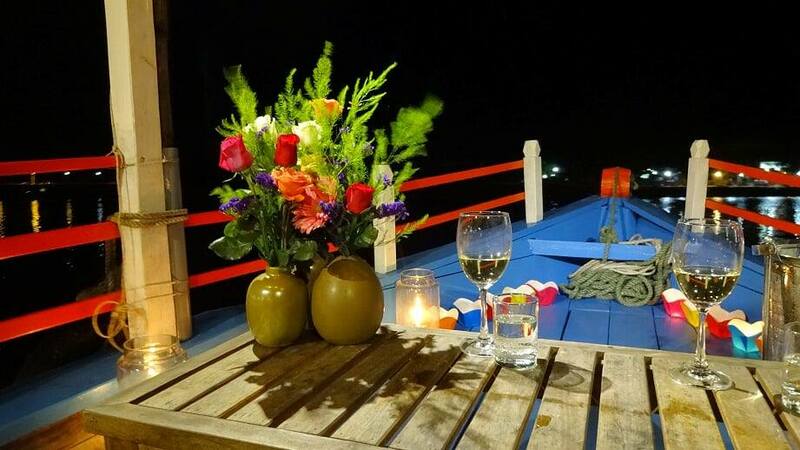 A romantic night, the candle light dinner on the boat will make you get a unforgettable trip. This is a night never to miss with your special one! 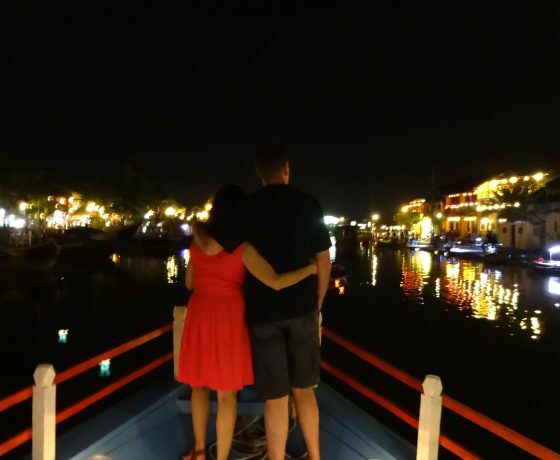 The private sunset cruise will take proximately 1.5 hours taking you to Hoi An Old Town. Imagine having your partner with a glass of wine and favourite songs as background, the view of the Old Town will make an unforgettable time. 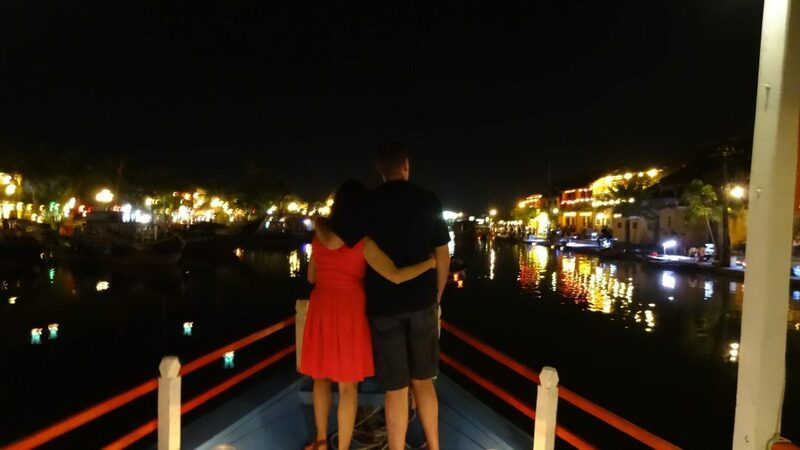 Then transferring to another boat which release floating candles into the river will take you right into the heart of Old Town. 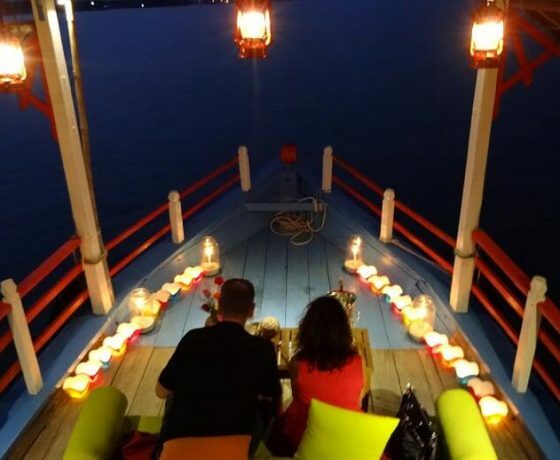 A fusion of colours reflected of lanterns from riversides combined with floating candles is a cherishing sight for years. 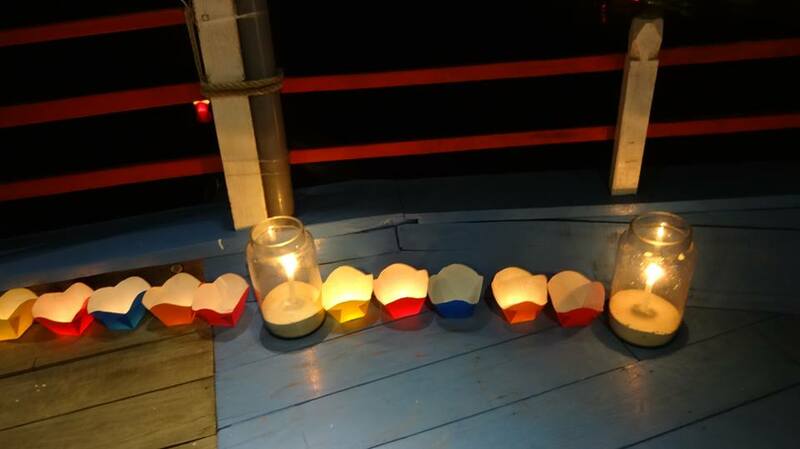 In the Vietnam culture, candle light is spiritually significant. The light will bring your prayers to the Gods for safety, good catch and harvesting, happiness and health. 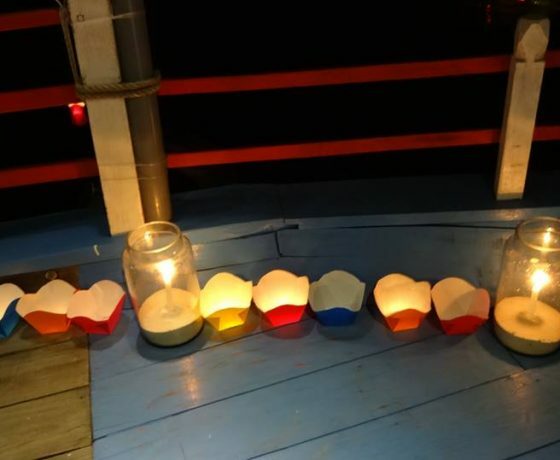 Candles will be surrounding the boat for time to make wishes, and then float past toward downstream to carry your wishes to the Gods. 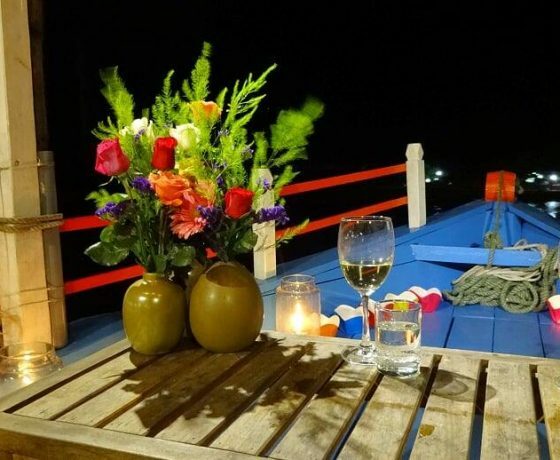 You will be riding US Army Jeep to Thuan Tinh Dock boarding the boat, a beautifully restored traditional Vietnamese fishing boat, to start the romantic candle light dinner night. As you board, your personal crews for the night will be waiting to greet you. 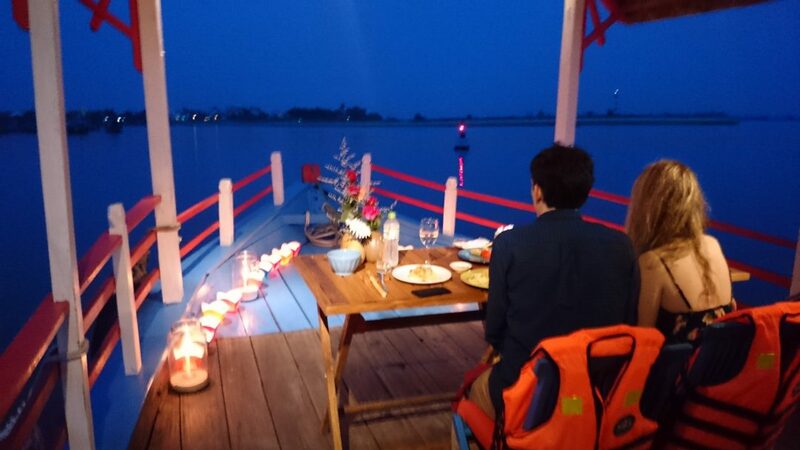 Table with flower and candles will be set near the bow where prefect view of sunset will be visible behind the distant mountains. The cruise is especially picked to present with you the beauty of rural landscape and people living along the river banks. 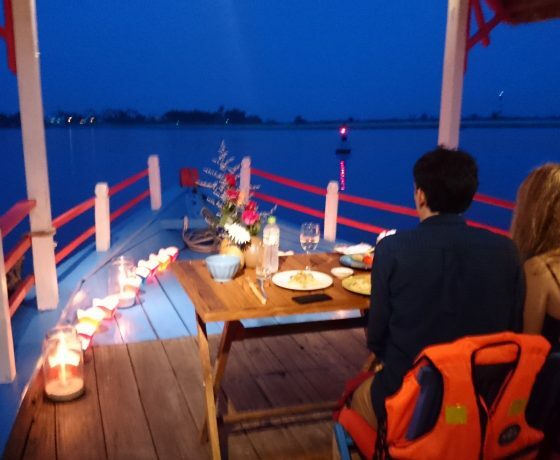 Dining area is carefully picked to ensure uninterrupted open view of the passing boats, fisherman casting nets, and children from riversides. Dinner will be served with array as the sunset. You will be delighted to experience traditional Vietnamese family meals from the pre-chosen menu from “an com gia dinh” or family meal. 1.5 hours of Chic Boat cruise on Thu Bon river follow by Jeep pick up from Hotel. Great views of daily activities and lifestyle on the river area. 6 course “an com gia dinh“family meal will served in bath of orange light of the sunset. 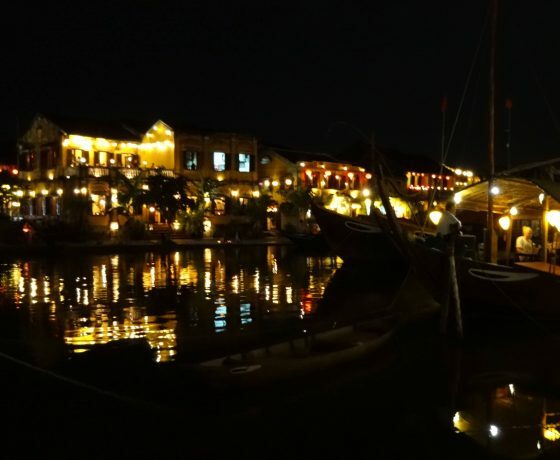 Sailing toward UNESCO town of Hoi An, hundreds of lanterns decorating the centuries old building, for a blending colours with candles leading you toward the heart of the town while carries your wishes to the Gods. 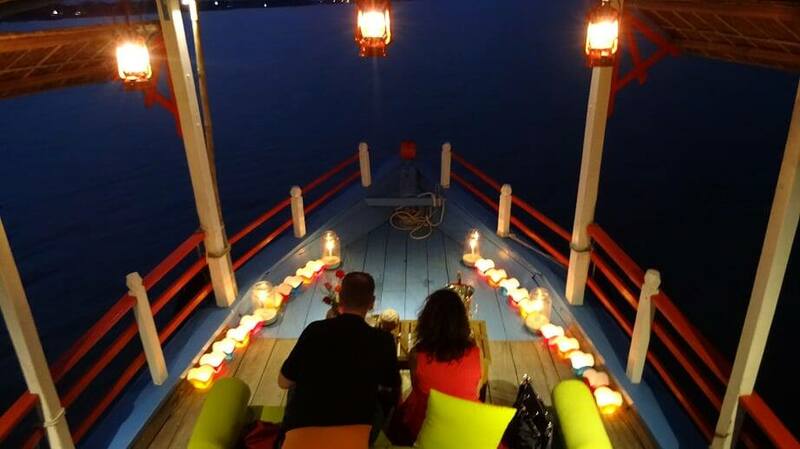 Disembarking at An Hoi dock, you are minutes away from the night market and river. 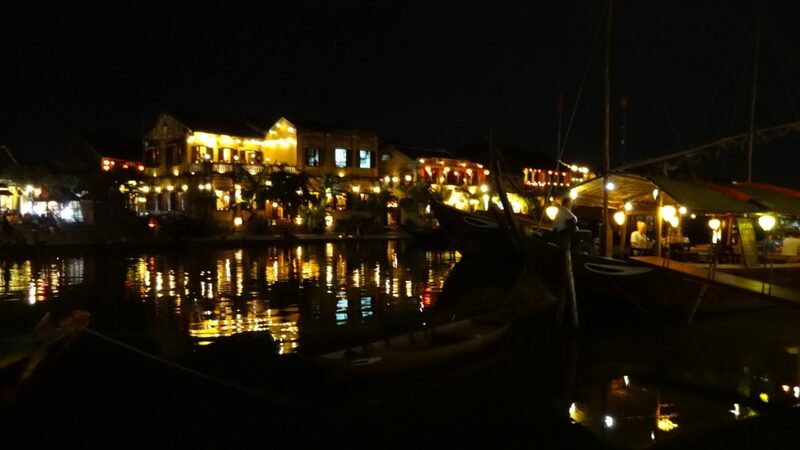 A Japanese bridge ahead will lead you right back to the heart of Hoi An Old Town. We will pick you up at the hotel lobby, please wait for our driver about 10 minutes.